A pool fence adds a subtle layer of protection, privacy, and beauty. Now is the time to plan your pool fence installation. While it may still be a bit too cold to go swimming, most pool fence installation companies get booked when warmer weather hits, which means you’ll have to wait to use that gorgeous new pool until your fence installation company has time to install your fence for you. So, schedule your pool fence installation now so that you can enjoy all of the following great benefits. One of the great benefits of fences is that they set boundaries and allow for privacy. A wooden privacy fence creates an area where you can feel comfortable enjoying the nice weather in your bathing suit without worrying about prying eyes from neighbors and passersby. Some cities require that all pools are fenced. This is to protect children and pets from accidentally falling into the pool. 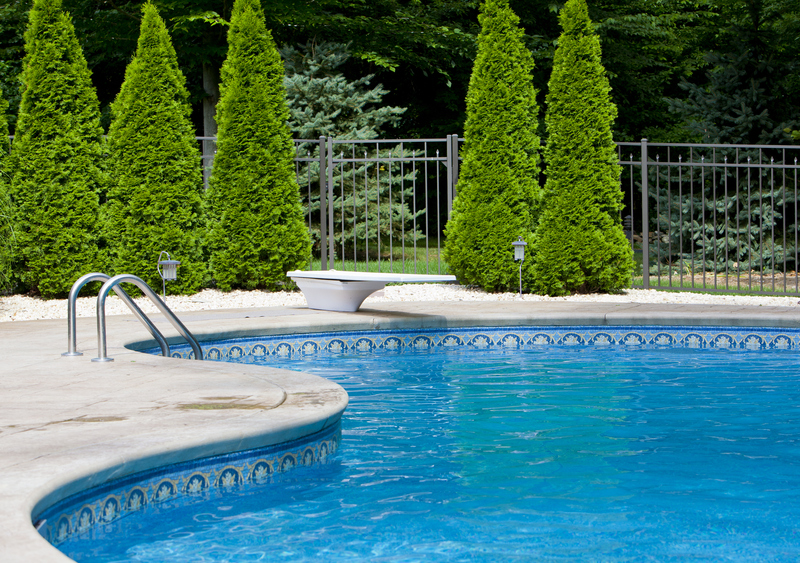 Experts estimate that about 70% of pool drowning deaths could be avoided with a pool fence. So, whether your city requires a pool fence or not, it’s probably best to stay on the safe side and invest in one. Because of the added safety, privacy, and aesthetics of pool fences, homes that have them are easier to sell than homes without them. This is because most potential home buyers don’t want to buy a home that is going to be a project. Even if you aren’t planning on selling your home now, you still probably want to maintain your home so that it is at peak value if you ever do decide to sell. A home that doesn’t have the right features could potentially scare away buyers, leaving your house sitting on the market for months longer than necessary. Spare yourself the trouble now by installing a pool fence. Not only will you have more security and privacy, but you will also add aesthetic appeal and value to your home! This entry was posted on Friday, April 15th, 2016 at 8:15 pm. Both comments and pings are currently closed.